It’s another soggy, windy day here in Tigard, Oregon. 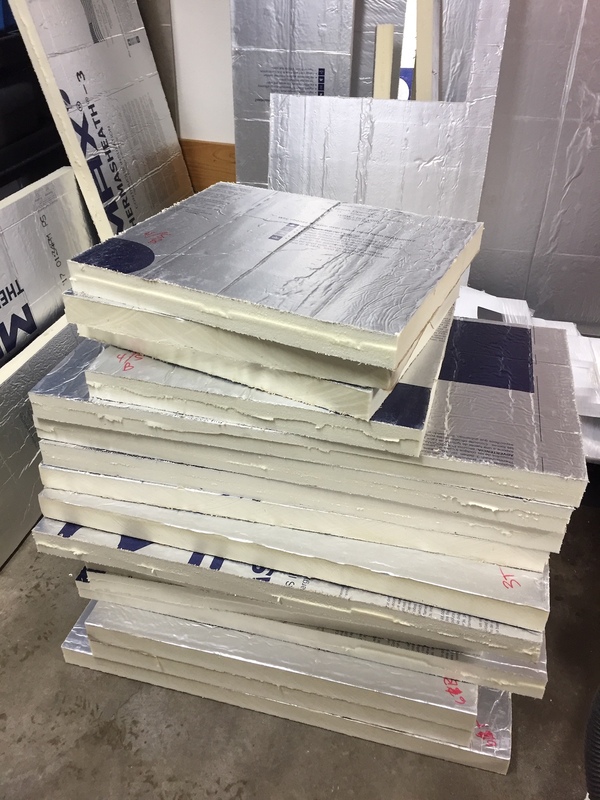 So I spent some time doing a cut plan in SketchUp for the remaining insulation panels, to minimize waste — and to avoid another trip to the Sherwood Home Depot Indoor Dog Park. I was able to fit all sixteen panels into my remaining three sheets. They took all morning to cut in our crowded garage, but here they are stacked and labeled for easy access. I have enough left over to do panel P1, which contains most of the electrical cables. And I might have enough to do all the top corner panels as well. I’ll need to cut window holes in the eight top panels. For that, I plan to insert the foam in the cavity and then trace the window hole onto the foam. But that should result in a reasonably comfy fit around the window frames. This foam is rigid enough to support itself when cut down to about an inch. 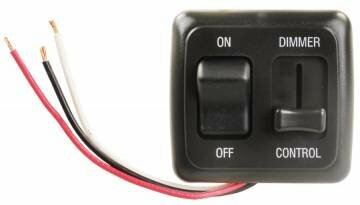 I was able to exhange my unused “off-white” JR Products LED dimmer switches for black ones, which will look better. Many thanks to Angela Stone at pdxrvwholesale.com for the great customer service! I’ll install the first one in panel D3, but the second one is backordered until next week. That’s okay, because I’m not ready to button up panel P1 yet. I’m also expecting a replacement VIVO motorized unit (the main part) today. The one I got doesn’t work as advertised. It keeps reversing itself at about the 3-inch mark, and the power jack sparks when you plug it in. You’re supposed to be able to just nudge your TV and it’ll go up or down. But that has never worked. This product is a very cool mechanical design, but it’s plagued by a bad instruction manual and a worse remote control layout. The remote even includes < and > buttons, which means they’re trying to make a cheap off-the-shelf remote work with their firmware. 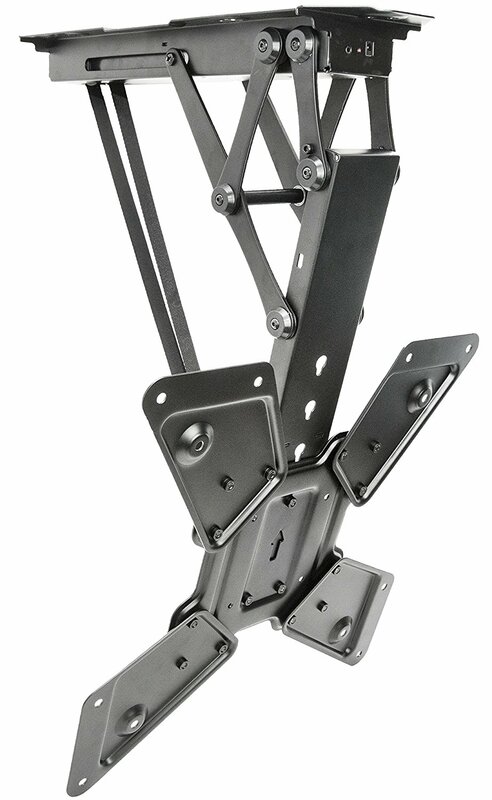 A TV mount like this doesn’t really need a remote control. There should only be an up/down button on the motorized unit itself. Anyway, it arrived this afternoon and this one works fine. But I did break one of the decorative plastic trim pieces because it wouldn’t unsnap, so now I have to beg for a new one. Joy. Looks and sounds great . . .